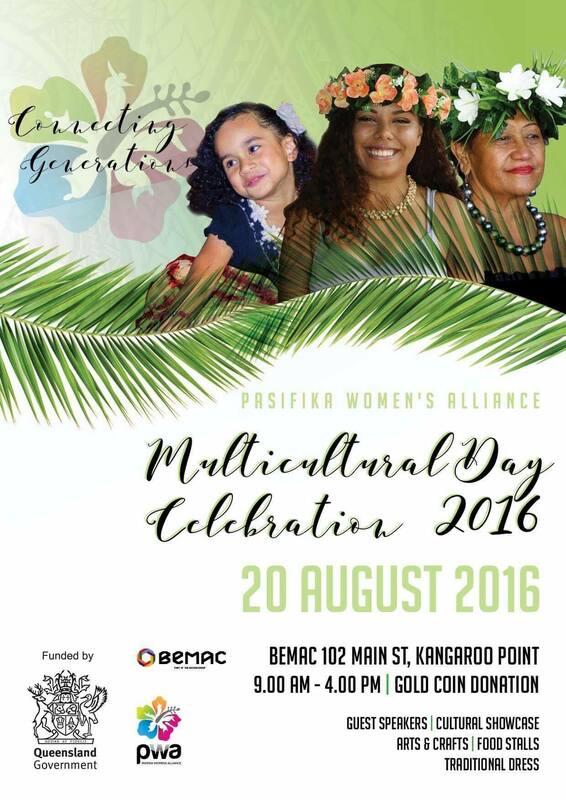 Here it is, the official flyer for the PWA Multicultural Day Celebrations 2016! For many, our connection to language and culture is through our elders. Whether it be our parents, grandparents, extended family or community leaders – on the 20th August we will honour elders from all cultures for their experience and wisdom that we can all benefit from. We encourage all ages & cultures to join our Multicultural Celebrations to acknowledge the valuable contributions of our elders. Please share this throughout your networks and invite your sisters, mothers, aunties, friends & wantoks!